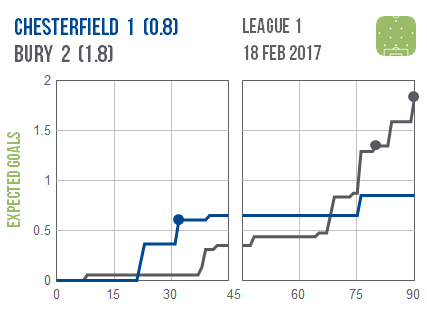 Bury left it late to claim victory in their relegation six-pointer at Chesterfield, while Scunthorpe looked fortunate to escape their own six-pointer at the other end of the table with a draw. 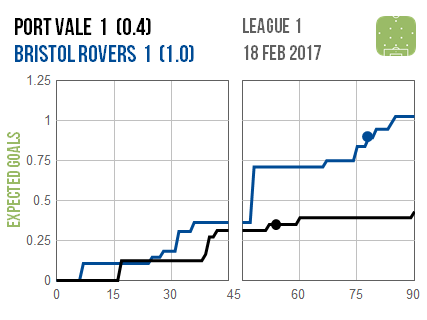 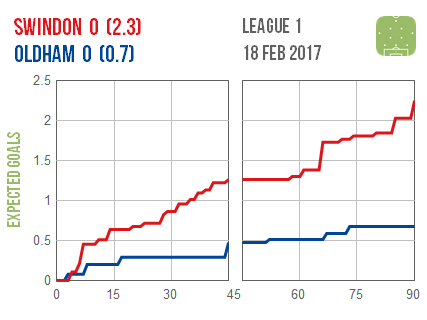 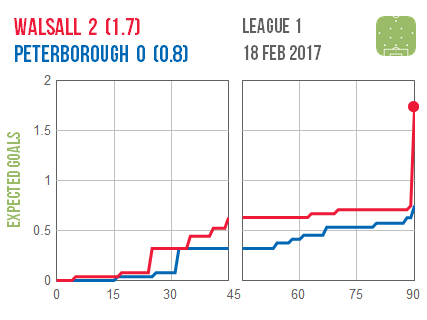 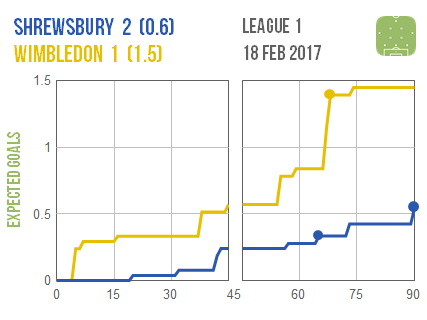 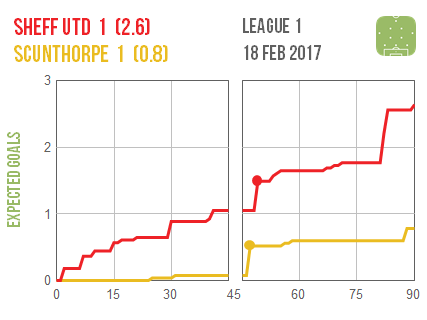 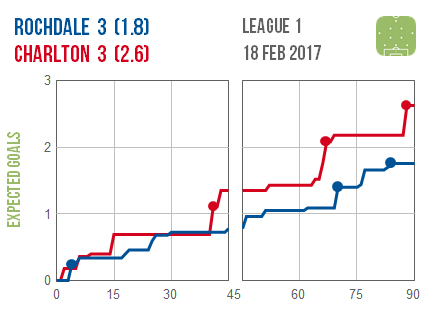 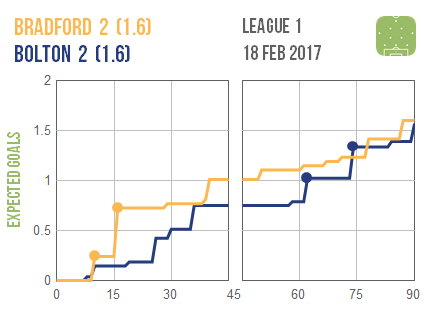 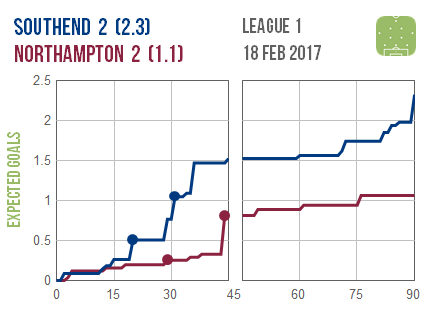 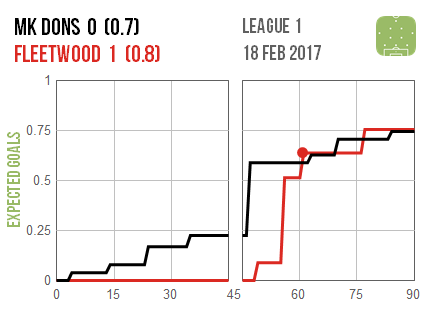 Like the Iron’s hosts Sheffield United, Southend and Swindon also significantly out-created but couldn’t beat their visitors. 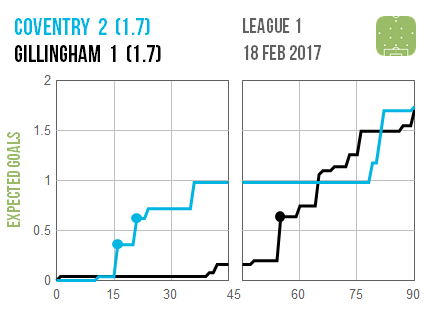 In the Robins’ case the number of small jumps in their line suggests that perhaps they were shooting mostly speculatively from distance.